Windows and solar panels in the future could be made from one of the best—and cheapest—construction materials known: wood. 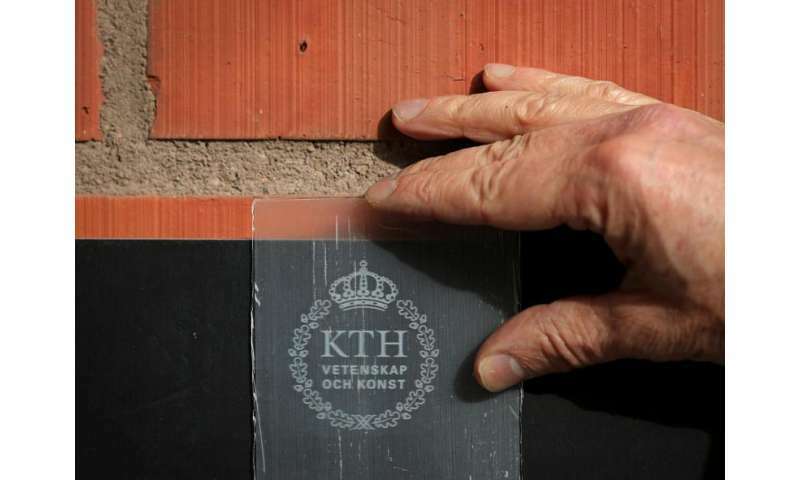 Researchers at Stockholm's KTH Royal Institute of Technology have developed a new transparent wood material that's suitable for mass production. Lars Berglund, a professor at Wallenberg Wood Science Center at KTH, says that while optically transparent wood has been developed for microscopic samples in the study of wood anatomy, the KTH project introduces a way to use the material on a large scale. The finding was published in the American Chemical Society journal, Biomacromolecules. "Transparent wood is a good material for solar cells, since it's a low-cost, readily available and renewable resource," Berglund says. "This becomes particularly important in covering large surfaces with solar cells." "When the lignin is removed, the wood becomes beautifully white. But because wood isn't not naturally transparent, we achieve that effect with some nanoscale tailoring," he says. "We also intend to work further with different types of wood," he adds. "Wood is by far the most used bio-based material in buildings. It's attractive that the material comes from renewable sources. It also offers excellent mechanical properties, including strength, toughness, low density and low thermal conductivity." But transparent wood? Now things are getting silly. If one could figure out a way to cross link cellulose chains, perhaps the plastic part would no longer be necessary for the material's transparency. The plastic isn't there for stability. It's there to generate the effect like when you use clear tape to see through frosted glass. -- Hey..hey...come see. I impregnated wood with chemicals and polymer to create ...taa.. daa... transparent wood! -- That's brilliant Lars, but all of that to strip away the aesthetic qualities of the wood and produce a piece of old plastic? It's very interesting, but I have to point out that sand is pretty common. It's not like there's going to be peak sand anytime soon. The technology involved in making transparent wood panels is more interesting than the material itself. Maybe they've got more trees in Sweden than sand...? just as long as those b-tards don't sell this to Ikea...!!!! So it's basically wood impregnated in some sort of (epoxy?) resin. So basically the same thing as clear acrylics or any other plastic, just with a filler made out of cellulose. Incidentally, you could do the same to pure silica sand to turn it transparent. The mechanism is the same: immerse sand grains into a resin that has similiar index of refraction, and the whole thing turns transparent. This study did use delignified balsa wood (Ochroma pyramidale) with initial density of 160 kg/m3, which essentially means, 80% volume (or more) of resulting material was formed by acrylics - so I don't see big deal here. Well, maybe it's less prone to shattering or cracking, being a composite.